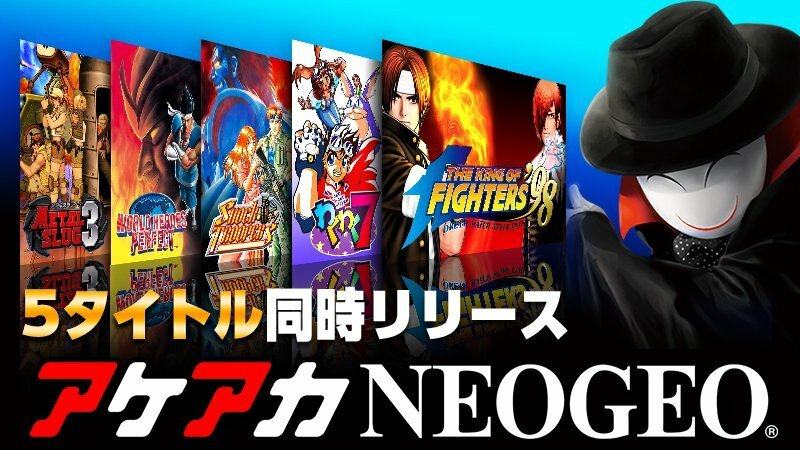 The ACA Neo Geo range has been available for around a week on Nintendo Switch in Europe and Japan, with six titles also arriving in this week's update in North America. This 'Arcade Archive' range has also been available on other current consoles, but publisher HAMSTER Corporation has been aware of some issues with the Switch versions. There are two core problems related to the image brightness and colouring to give a rather washed out display, while out of sync sound is also notable. In Metal Slug 3, for example, there's a very clear delay from firing the gun to the sound coming through. These issues aren't ideal of course, though based on a quick bash in Metal Slug 3 this writer doesn't feel it's unplayable in any sense, but the performance could certainly be optimised. HAMSTER Corporation has addressed this, however, with tweets this week (albeit in slightly rough English) promising updates soon. We'll keep an eye out for the updates going live - these ACA releases come with some nice extra features in menus, online leaderboards etc, so hopefully the pending updates will help resolve some issues with the emulation. Let us know whether you've taken the plunge yet with any of these Neo Geo releases on Switch. I'll consider supporting these releases after they're patched. Not in their current state, though. @Ralizah I think that's fair enough. I'm guessing they rushed for launch day in Japan (and Europe) and have been caught out with unexpected emulation issues. Hopefully the updates will get these titles tip-top. Can someone please explain why there's already Neo Geo titles on the Switch but not a single retro Nintendo game is on it yet? 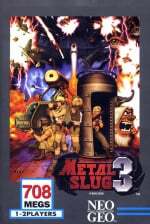 I picked up Metal Slug 3 because, frankly, owning a system capable of playing Metal Slug 3 and -not- owning Metal Slug 3 on it seems blasphemous to me. I've noticed the issues but, frankly, it's still a cracking game on the Switch, and I'm glad Hamster are working on fixing it... hopefully, they're seeing enough sales and interest to warrant bringing over some of the non-SNK titles from their frankly amazing ACA lineup on the PS4. I'd definitely double-dip for stuff like Puzzle Bobble. Considering I have loads of Neo Geo downloads on my WiU from the the Wii store, I can't see myself double dipping on the Switch when I get one. Also, just a shame Capcom and Sega aren't involved. The majority of the arcade games from both companies should be instant downloads. Response from developer, promise of a patch and fast. Cant complain about that? Hurry up and bring out Alpha Mission 2 though!! Love that game!! Slightly more concrete, then, than Konami's rather boilerplate reply (with no promise of actual fixes coming, i.e. Bomberman R). What does ACA stand for? Are these arcade versions? The eShop screenshots with "insert coin" seems to imply so. @gatorboi352 Nintendo wants us to play Zelda for at least a couple weeks. Before you know it, there will be tons of games in everyone's switch backlog. Just play some Zelda for the time being. I got Metal Slug 3. It's the first time I've played it. And yeah, these issues are making it difficult enough to feel immersed and truly learn what makes it so great. Especially with Zelda on the same system. I think I'll wait til it's patched to play again. @BornInNorway81 Arcade Collection Archive. And yes they are intended to be as Arcade perfect as possible. With shoulder buttons bound to inserting coins. @BornInNorway81 The Neo Geo home console (AES) was literally just the arcade hardware in a home console box. So the games were literally the boards just thrown into a giant cart. No changes. Exact arcade versions because you had exact arcade hardware using exact arcade games in your home. @gatorboi352 because they are adding online play/features to them. The colors are definitely washed out, but it's still so good. Just sat down to play Metal Slug 3 for a few min and ended up playing through the whole game - it's so freakin' awesome. This is like the 10th time I've bought this game (plus I own the entire Neo Geo ROM library + emulators), but I can't resist Neo Geo games on the Switch. I bought all of them expect Nam. Glad to hear they're patching them to get the colors and sound right. Keep 'em coming. To get the colours looking a lot better, set the RGB range to limited instead of full in system settings. Somehow the full setting isn't working like it should and bleaches the whole image, turning black into grey and mutes all the other colours as well. @meppi which RGB setting you have to choose depends entirely on your TV. when RGB full looks washed out on your TV then that just means that your TV is set to limited. the auto setting works correctly for me but probably doesn't work in every case. the biggest issue I have with these games is that the "screenshots" in the eShop look nothing like the real game! this is false advertising! @gatorboi352 My guess is that retro Nintendo titles will show up in conjunction with the online service. They are taking retro titles and adding online support. @gatorboi352 Yeah that is a good question, but since a Neo-Geo title never came to the WiiU and got 6 off the bat, why complain? @manu0 I've been testing it out this evening and it certainly doesn't work correctly on my end. Even when using the exact same settings that I use for my PS4,PS3,WiiU and 360, only the Switch looks washed out. Yet when I manually put the system on limited and keep the tv on either Auto or limited, everything shows up correctly. When the Switch is set to full and the TV to auto or full, the screen is washed out. Very strange. It's the final top of the line Panasonic Plasma, so it certainly has all the bells and whistles needed. It already comes in various languages including english if you want to buy off the international eshop. Not sure if I want these on my Switch or Xbone. Portability or achievements. It's one or the other. Speaking of which, the Switch really should have an achievement system implemented. Nintendo could even put a weird goofy spin on them. Tie them into My Nintendo accounts. Nintendo are you taking notes??? @meppi Will try that, though presumably the 'updates' will sort that out; evidently RGB range is part of the issue with the emulation, based on what you're saying. I'd second what some are saying that the games are still perfectly playable and fun. I've been enjoying a bit of Metal Slug 3 too, but definitely looking forward to seeing if fixes do the job. EDIT: Ah, you're having more general issues? Maybe check your HDMI connections etc too. The Switch does output a nice deep image in full RGB range in my case, so I'm not sure what's going wrong for you. As long as that doesn't turn into half-hearted ports in general then whatever. I know it took Nintendo a while to get devkits out. I just want polished and maximized ports in the future if I'm ever going to buy this machine. I want to say something about all this, but all I can really visualize is a bunch of hamsters with headsets working tirelessly over tiny keyboards to create this game. Works for me! I'm a Neo Geo junkie so I'll grab at least KoF. 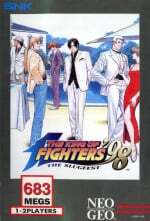 I've been playing King of Fighters '98. I didn't notice anything to my experience. 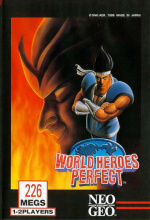 Maybe because I'm new to the FGC and never played the original arcade release. If an update is coming, then I guess that'll be great and a welcome thing. Now that you guys mentioned it, I've been seeing huge sound delays. The punches SFX comes almost a second later after the attacks animation. Then with the announcer voice doesn't sync correctly with the displays. Now the patch is really needed. Did they make em online or just local ? Looks like it was rushed, but at least a patch is coming to them. 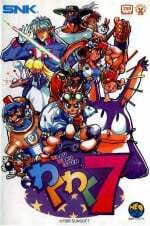 I had trouble sharing my joy con on Waku Waku 7 today, does that just not work on these games? 1) SNK probably aren't working on too much at the moment. 2) Nintendo have better things to do than rerelease retro titles they've released 2-3 times before. 3) They take joy out of seeing people incessantly whine about VC titles on the comments section here. Glad to hear your enjoying Zelda, I am too; at home, on the train and at work during lunch break. Hmm, the neogeo games on Wii VC have 240p, correct colors, no sound delays, and a pretty massive selection. They are the AES versions only, but still one could argue that's the best way to play these games. Played king of fighters last night, whilst in handheld mode it works fine but when using the joycon grip all the controls are reversed and mocement is mapped to the right analogue making it totally unplayable, but i cannot understand how it differs for being on the grip. I picked up Waku Waku 7 and Metal Slug 3, absolutely love it. The animation is awesome. I wish they would include online multiplayer though. I just bought Metal Slug 3 this morning and noticed it looked super washed out, and the lag from the sound was really apparent. Just a quick side note for Metal Slug 3, took me a while to figure it out, but if you want to play two players with the Joy Cons, you need to first configure the joy cons to be separate controllers in the Controller options screen on the Switch First before you open the game. There is no options within the game to change between two players with separate Joy cons. @Captain_Toad They probably didn't come to wiiU because they had physical releases on the Wii that played flawlessly on wiiU. Same kind of excuse for why wiiU didn't get a rerelease of Resident Evil Zero and REmake. 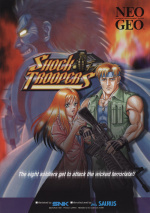 But I've always been a fan a NEOGEO titles and I'm happy that they are getting a release on the Switch. And that's why skipping launch is, at times, the best option. I will get a Switch one day. One day of this year, to be precise. I very nearly bought metal slug 3 but hearing these comments Im glad I haven't yet. I will purchase once they have been patched. None of my other systems do this. Although I do remember the PS4 having issues when it launched where it didn't correctly set RGB full range when the system was set to Automatic. Only when you set it to full range only did it work. That seems fixed now though. TV in auto or full range = washed out colours. TV in normal/limited = certainly darker and crisper image but possible crunched blacks. So it looks my Switch doesn't output a full range RGB image at all. I'm keeping it in normal range now and my TV in auto mode which seems fine, but I'm hoping for a fix in the future to get and even better picture. Oh and yes, even in this setting, the Hamster games still look desaturated compared to a normal NeoGeo. I didn't know these were released today in the states and I immediately picked up Metal Slug 3. The arcade archive is the best version you could ever ask for! I hope they make more for Switch. I'm going to get all of them eventually now. Wow. So much fun. Really takes me back to the days when arcade were more popular. I love it! If switch gets an arcade version of Marvel Vs. Capcom I will squeal like a virgin on prom night. @Galactus_33 Personally I am hoping we get infinite rather than 3. I know about twenty people that will buy a Switch based on that alone. Arcade Archives is a brilliant idea. Can we please have Double Dragon I & II on Switch? I'd say a much bigger problem with these games, prominent in Metal Slug 3, is when you put on autofire. It doesn't even acknowledge you've pressed the button to start firing half the time. @MetalKingShield I think they released both of those on PS4 a while back, so I'd say it's probably possible. I'm glad I saw this, I knew something looked wrong about the video output. I am just bothered about how un-aesthetically pleasing the banners on the eShop are for these games. Where the heck is the Nintendo VC back catalogue?! ?